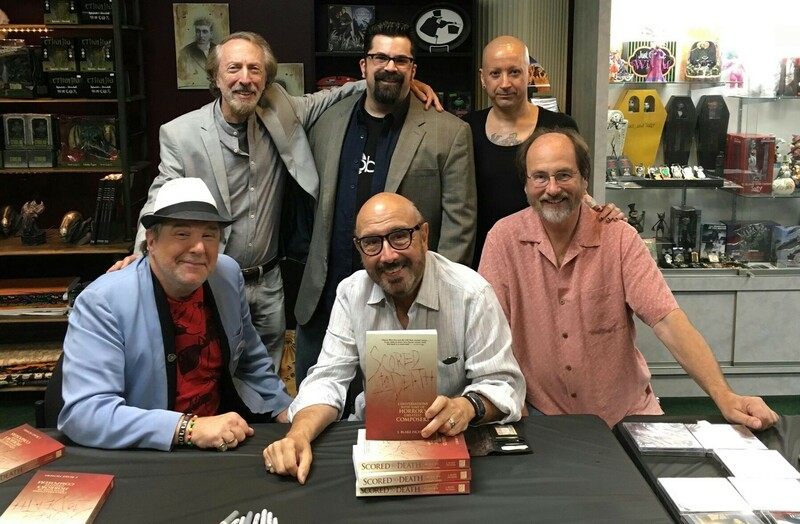 J. Blake Fichera promoted “Scored to Death” with a signing at Dark Delicacies in Burbank, CA, which was attended by five composers. Front row, from left, are: Chris Young, Harry Manfredini, and Alan Howarth. Back row, from left, are Charles Bernsntein, Ficheaq and Joseph Bishara.